On this trip you'll experience the most popular stretch of the Niobrara River, from Berry Bridge to Brewer Bridge. You’ll have plenty of opportunities to spot local wildlife, and admire the beautiful scenery. Be sure to stop and see Smith Falls waterfall, the tallest in Nebraska! Easy Flowing River - Great For First Timers! Relax as the spring-fed, slow moving river leads you past the pine covered hills, steep cliff banks and waterfalls. Keep your eyes out for river otters, minks, herons, bald eagles and other exciting bird species! Each member of your group will be required to sign a waiver. Parents are asked to sign these on behalf of their children under 18. 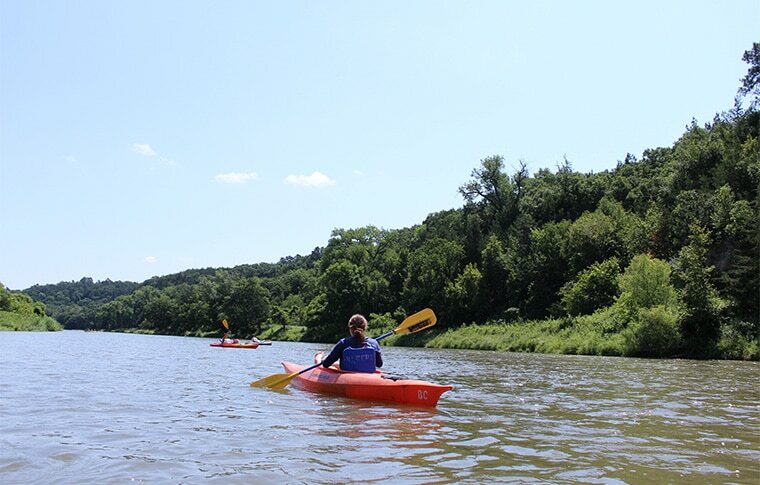 Before you set off on your adventure, we’ll give you a quick safety briefing to ensure you get the most from your trip down the Niobrara River. We provide life jackets for all paddlers which must be worn at all times by those under 12.